Thread Size: 1/2" TO 2"
VescoaT supplies and manufacturer of FEP / PFA Lined Equal Tee / Unequal Tee of various Standard, Non Standard size on Request, We also manufactures in PFA / FEP / HDPE lined Tee as per international standard of ASTM F1545. 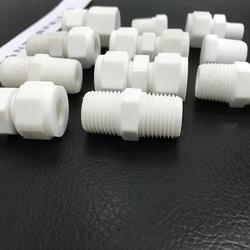 From our wide consignment, we are engaged in supplying PTFE Lined Tee. Owing to the wide experience in this domain, we are instrumental in offering PTFE Tee to our clients. Yogdeep offer PTFE lined Equal Tee. This product is widely used in various industries and is presented at the best rates in the market. 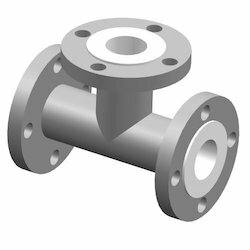 Matching up with the exact requirements of customers, we are involved in presenting wide array of PTFE Lined Tee. Keeping in mind ever-evolving requirements of our respected clients, we are offering a premium quality array of PTFE Lined Tee.